I am a confessed caffeine lover! I love the adventure of indulging myself to caffeine experience whether it's the cheapest to the most expensive kind I can afford to purchase. 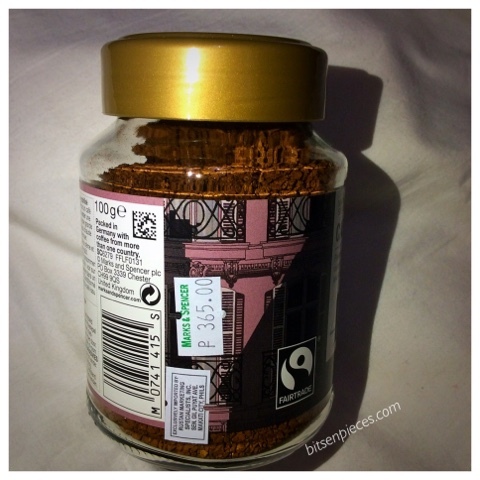 We got this jar of coffee last December from our Marks & Spencer's shopping. My heart was divided whether to get the coffee grounds or this instant one. Since, I still have some of the grounds I received from a "pasalubong"in Batangas. 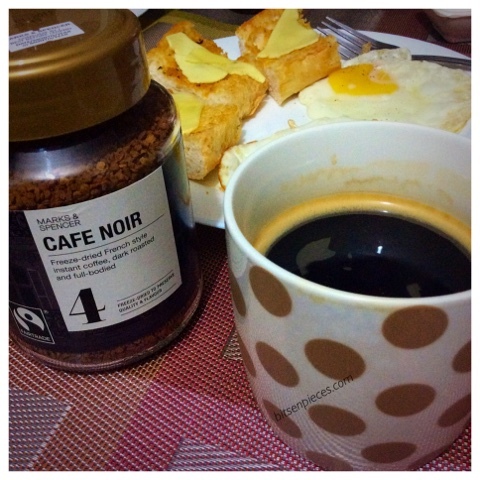 I decided to get this Cafe Noir #4 freeze-dried French style, dark roasted and full-bodied instant coffee. The jar is a glass jar with golden brown twist cap. 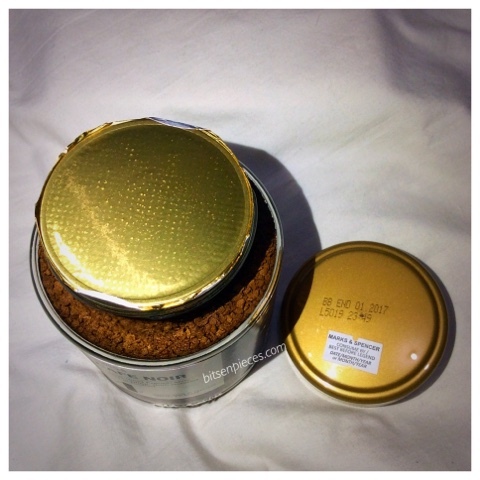 When you untwist the cap the jar is sealed with gold foil to retain the freshness of the coffee. 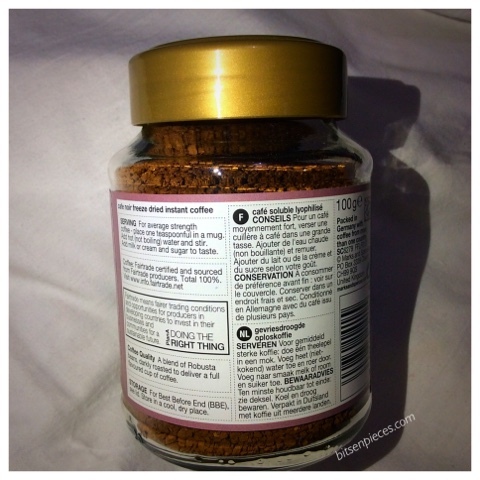 At the back label indicates the coffee instruction per serving and some information. Serving: For average strength coffee- place one teaspoonful in a mug. Add hot (not boiling) water and stir. Add milk or cream and sugar to taste. Coffee Quality A blend of Robusta beans, darkly roasted to deliver a full flavoured cup of coffee. Store in a cool dry place. For my personal take on the Cafe Noir coffee. Coffee is the first thing I can think of every day I wake up. It is my booster drug to start my day. Good thing I bought this last Christmas and I was fully able to learn and distinguish the taste. This is the photo of my first cup of Cafe Noir, decided not to add any cream or milk to it so I can taste the bitter taste. Sadly one teaspoon was not enough to satisfy the taste I wanted. I added half teaspoon more. I did expect that whoa reaction in me after the first sip, but I did not. It was a plain instant coffee for me, a cheap plain taste. Comparing this to the local instant coffee you can buy in the supermarket which is cheaper. But, since it is an instant coffee that I can take it anytime of the day without much preparation to do, I am enjoying every cup of it. 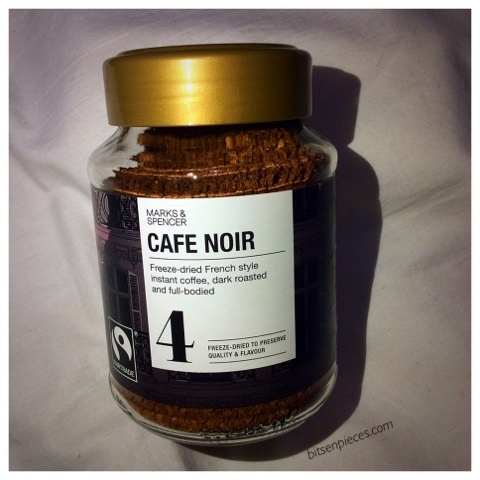 Have you ever tried this Cafe Noir coffee? What was your take on it... did you like the taste?